The continuous slow down of China’s economy has caused serious impacts on the global economy given the fact that China is the second largest economy in the world after all. East Asian economies including Japan, South Korea, and ASEAN are all coping with tremendous headwind. The negative impacts are also extended to other continents, namely, America and Europe. The Fed eventually decided to keep its key interest rate unchanged in September due to worsening external conditions. As a result, the CBC was obliged to have its first rate cut by half a quarter point in 16 quarters. Mainland China announced "national integrated circuit industry development promotion" in June, 2014, an important turning point in the semiconductor industry. 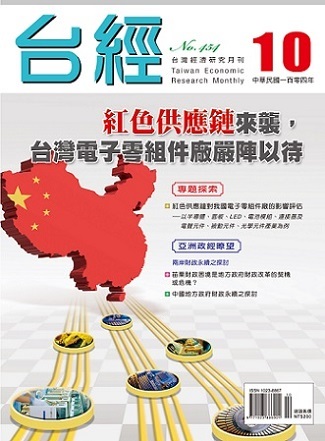 The Mainland Chinese semiconductor industry has fast growth, integrated circuit design industry in particular, therefore Taiwan's mobile phone chip and second-line packaging and testing industry have to bear the brunt of incoming red supply chain.